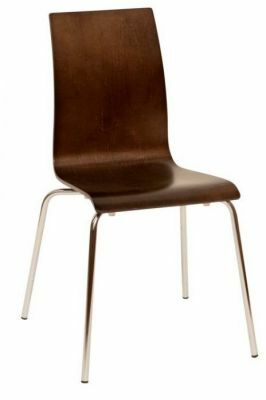 Single shell Cafe chairs in a choice of Beech or Wenge. 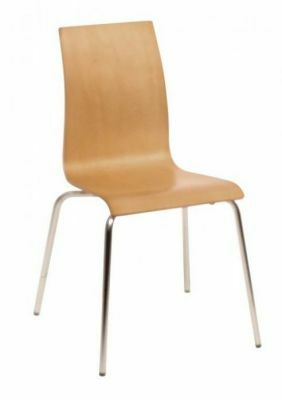 Thick plywood seat and a durable Chrome frame. Available from stock for a quick three to five working day delivery. Attrractive up to date design bistro chair with a polished, molded shell in Wenge or Beech finuish. The shell is then attached to a robust chrome leg frame structure. Delivered on a short lead time.